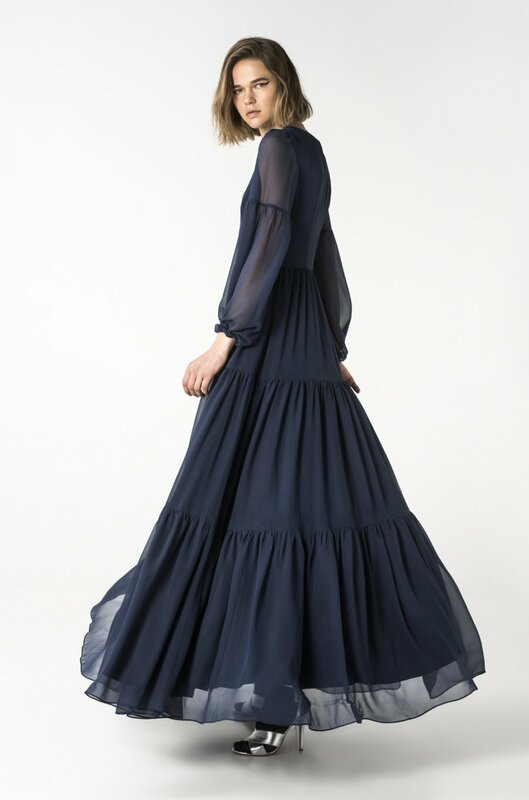 This maxi ruffled dress is made from delicate blue georgette. It's underpinned with a mini lining dress but left sheer through the skirt and sleeves to show a glimpse of skin. 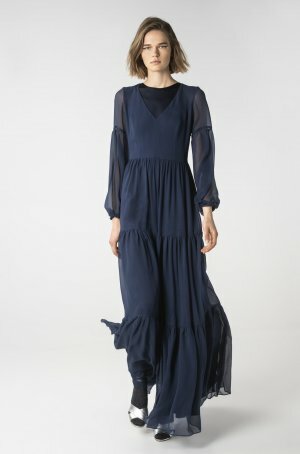 The pirce does not include the mini lining dress.